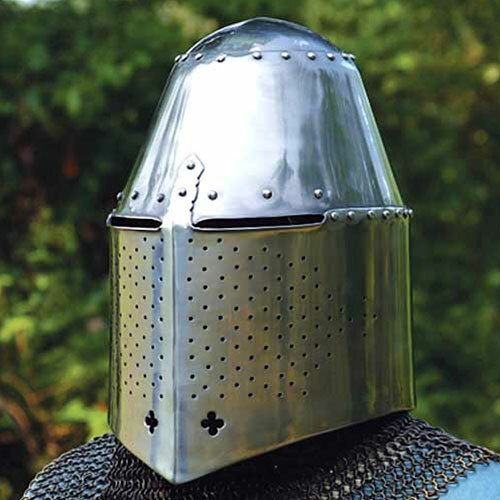 14th century great helm - this is the standard barrel helm worn *over* the bascinet with aventail throughout the 1300's. 18 gauge steel. Copied from an original in the Royal Armoury at Leeds.